Former Khmer Rouge prison chief Duch is found guilty of crimes against humanity by Cambodia's UN-backed war crimes tribunal July 26 2010. Panos photographer Nic Dunlop personally tracked down former Khmer Rouge executioner Comrade Duch ten years ago. Now, finally, he is being brought to justice. The trial of Duch began on the morning of February 17, 2009. Between 1975 and 1979, the Khmer Rouge killed almost two million people, up to a quarter of Cambodia's population. 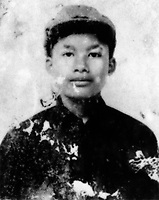 Pol Pot's chief executioner, Comrade Duch, was thought to be responsible for the deaths of 20,000 men, women and children. Yet twenty years later, not a single member of the radical Maoist group had been brought to justice for the crime of genocide. Over a decade of working in Cambodia, Nic Dunlop became obsessed with the idea of tracking down Duch. One day, whilst on assignment in a remote corner of Cambodia, Dunlop recognised a born-again Christian who was working for an American charity. He was face to face with Comrade Duch. 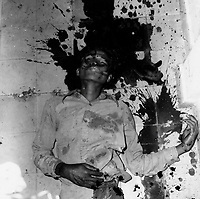 Duch confessed to his role in the Khmer Rouge killing apparatus and surrendered to the Cambodian authorities. 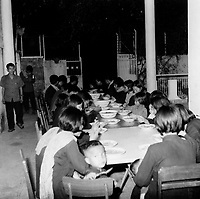 The wheels of justice have moved slowly, but in June 2007 a genocide tribunal was set up, backed by the United Nations and the Cambodian government. In February 2009, Duch finally came to trial. Nic Dunlop's extraordinary personal journey to the heart of the Khmer Rouge is recounted in his book 'The Lost Executioner'.